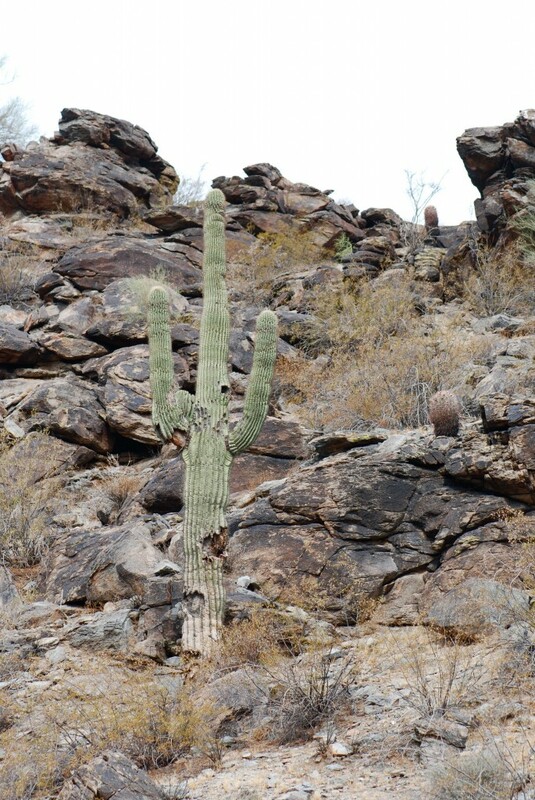 Most of the time it doesn’t look like much is going on in the Sonoran desert during the day. Of course, looks are deceiving, because there is often a lot going on that is subtle. After a rain like we had this weekend, however, life comes bursting out. We went for a hike at South Mountain Park on Sunday morning. Rain had fallen in the night, and as you can tell from these photographs, it was still cloudy. It was also extremely humid. 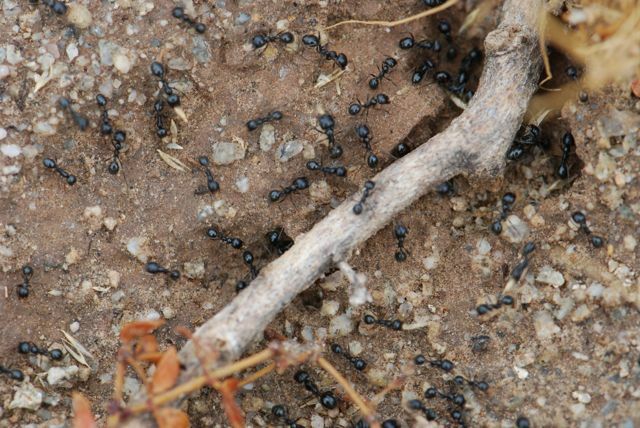 It is impossible to capture the level of activity in photographs, but ants were just streaming out of their nests. These are shiny black Messor pergandei. Rain stimulates activity for at least two reasons. 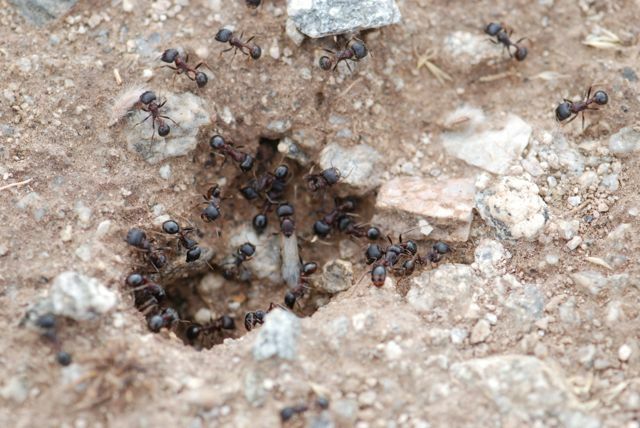 First of all, the ants are scurrying to collect seeds. 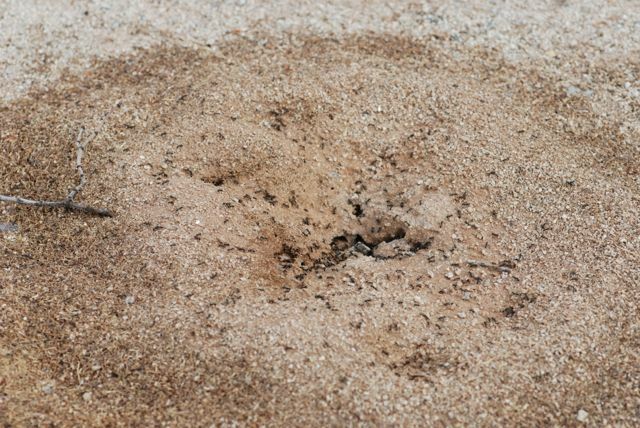 Some desert plants release their seeds in response to rain. Also, the rain knocks down seeds that are higher up in trees and shrubs. That means there is a flush of new seeds to collect after a storm. 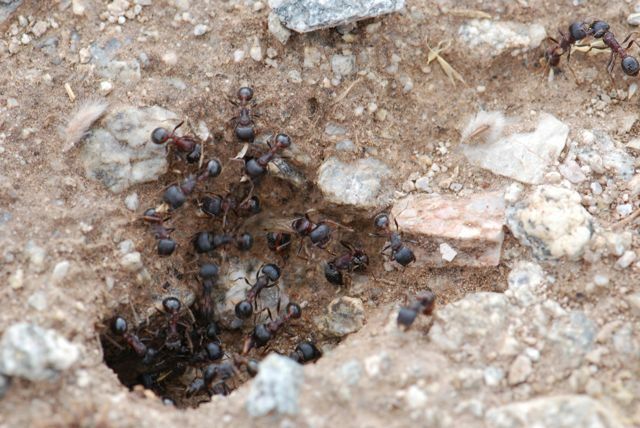 Most of you probably already know the second reason ants are hyper-active after a summer rain. 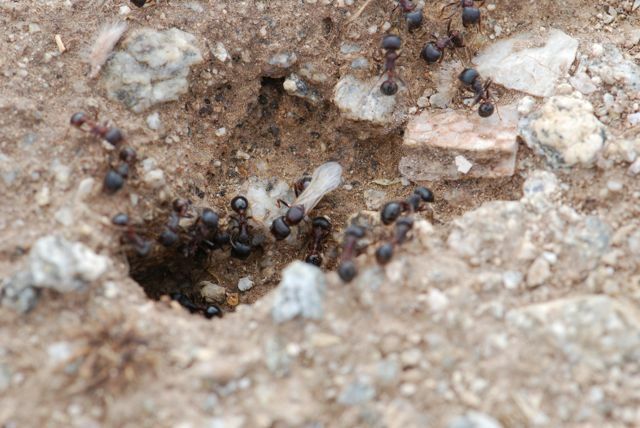 See if you can spot the reason in these photographs of a Pogonomyrmex rugosus nest entrance. 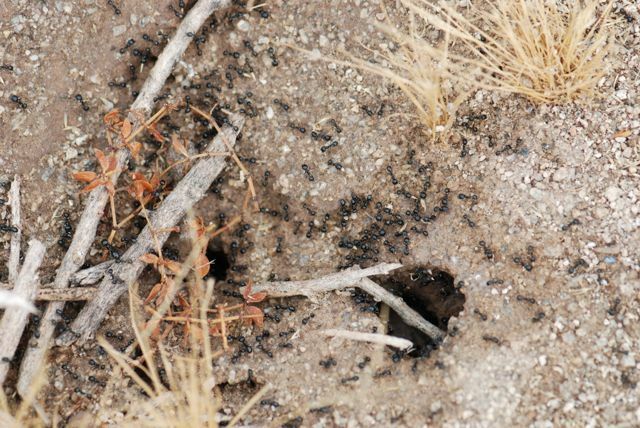 Did you spot the princess (alate)? 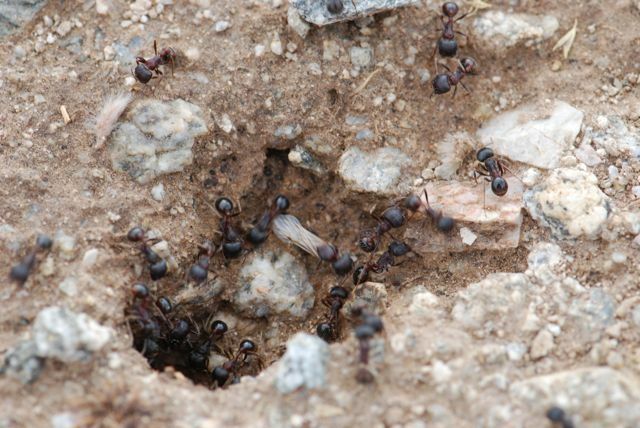 She went back inside this time, but I bet later in the afternoon the alates from this nest were swarming. 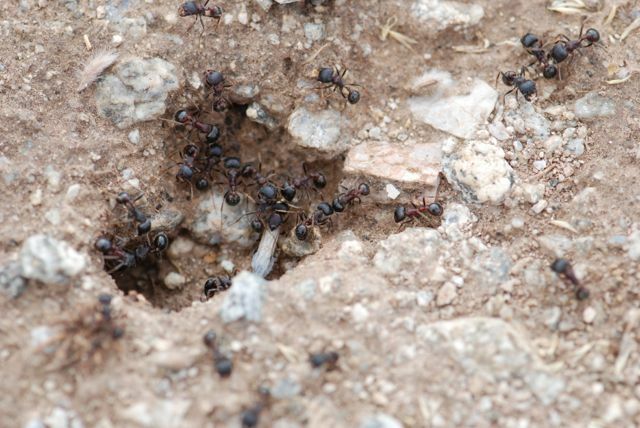 Are the ants swarming where you live?